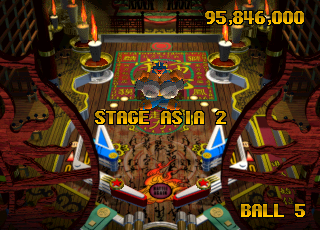 Japanese developer Kaze are responsible for one of my favourite games of all time, Necronomicon Pinball. 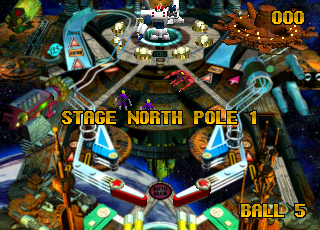 They're no strangers to the Pinball genre, having released two pinball games for the Super Famicom, two for the Saturn and one for the each the Playstation and Playstation 2. 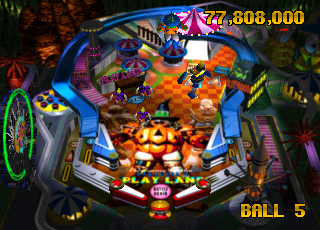 As a rule I never liked pinball. 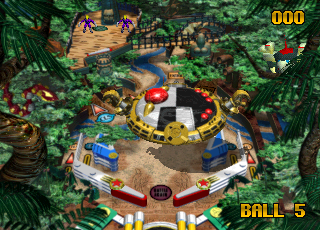 I loved the mechanical feel of the tables, and the sounds and lights, but I could never sink my teeth into the gameplay and always felt like I wasted my money. 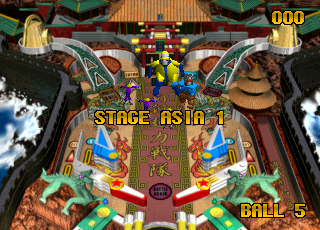 I first saw a PC Engine running Alien Crush, and then Devil's Crush, and so I got into pinball a little, but only with the fantasy graphics. And then I found Necronomicon - a game so good I bought every pinball game I could trying to find something to equal it. It had awoken some passions. 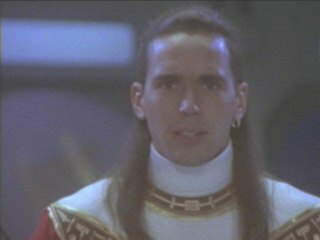 Power Rangers is the last Kaze pinball game I needed to find. It's possibly the rarest of their releases; I had no trouble at all stumbling across the rest of their Pinball library. It actually took some serious digging to find this, and I eventually located a Japanese copy in Hong Kong (Thanks Odie!). The manual is in Japanese, but the entire game - cut scenes and all - is in English. 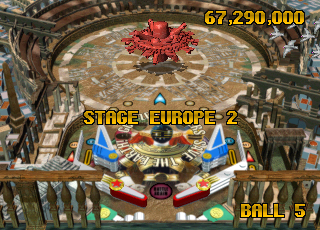 The graphics are perfectly adequate for the PSX hardware they're running on; some polygon characters on the table look a little rough when presented in low-res, but otherwise the pre-rendered tables are attractive enough. 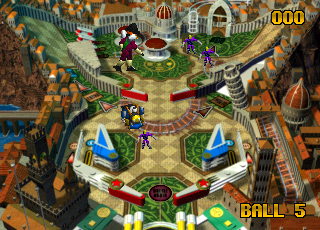 Ball physics are good, but hampered by the small table size. There are ten tables in all, and they do feel stretched out, as if there were ideas for five tables but graphics for ten. 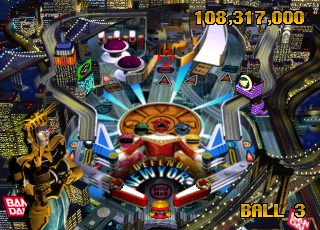 Single-player mode is appallingly easy. 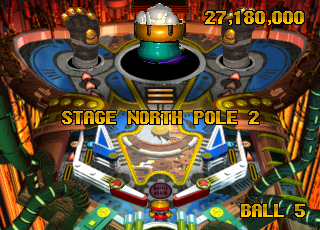 I was able to beat the entire game on normal difficulty the first time I played, something I couldn't dream of in any other Kaze pinball game. 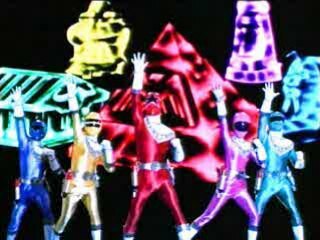 Perhaps it's the Power Rangers license, which naturally skews to a younger audience. 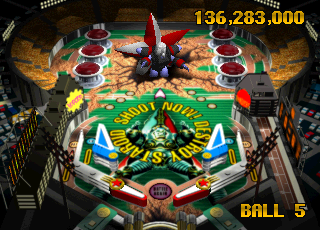 Extra balls are frequently given out, and the tables are cleared with often very low scores. 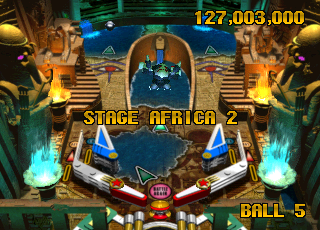 After one to three tables in any region (America, Africa, Asia, North Pole, Europe) you must fight a 'boss' which must be hit with the ball like any other target. Sometimes they move, sometimes they fly above the ball, sometimes they have a shield, but each merely requires you keep the ball in play until he's beaten. The game is so very generous with the bonuses that keeping the ball in play is never difficult. 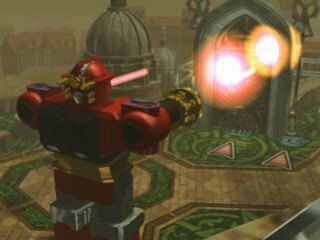 The boss battles typically feel like time-consuming punishment instead of any kind of fun. The cut scenes are weak, presumably ripped directly from the show, as are (I assume) many of the sound effects and voice cues. 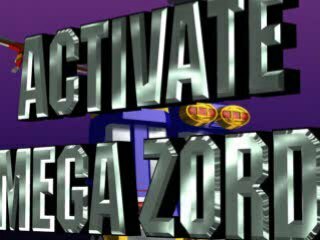 Every now and then you get to "activate the megazord" which... is less exciting than it sounds. 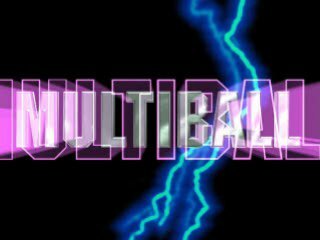 Multiballs occure frequently and present no difficulties or slowdown, and can last quite long since it's hard to actually lose a ball on these tables.